Broad calls for action also made in Mass. GREENFIELD — The recent spike in opiate deaths and overdoses in Massachusetts has created a public-health crisis that demands a speedy, sweeping response, including more courts to deal specifically with drug-addicted defendants, the chief justice of the state’s trial court said Monday. “We can’t do it alone: We need your help,” Chief Justice Paula Carey said at Greenfield Community College, where she addressed an overflow audience at a public forum on opiate abuse. The senator speculated that the rash of overdoses could be linked to a newly popular and dangerous mix of inexpensive heroin and fentanyl, a powerful narcotic. 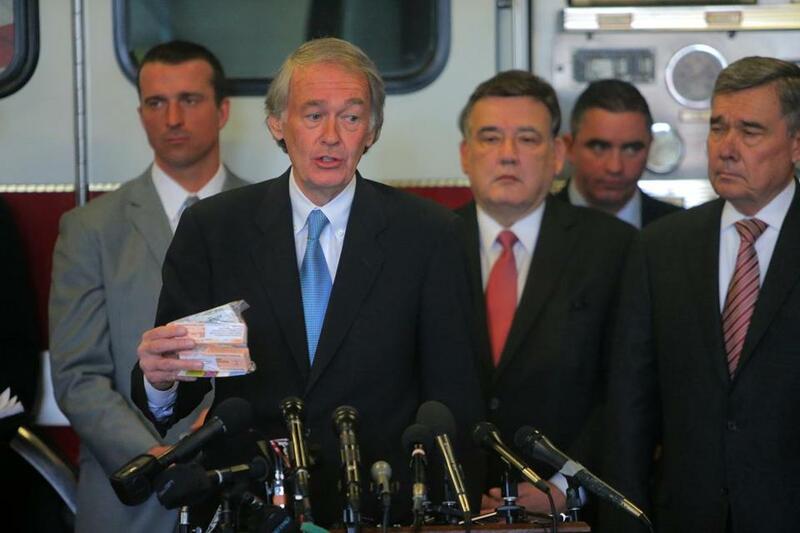 “That combination is toxic, and it is across the streets of Massachusetts right now,” Markey said at a press conference with mayors, lawmakers, and the White House chief of drug control policy. Statewide numbers have not been compiled for overdoses and opiate-related deaths in 2014, but many cities and towns are reporting sharp increases over last year. Cheryl Bartlett, the state public health commissioner, said Monday afternoon that she had been told that an estimated 30 people have died this year from heroin and other opiate overdoses in Massachusetts. Later, in a telephone interview, she said it was “probably a little premature to give out the number,” which she said came from a person involved with an opiate overdose prevention program. The department does not yet have official statistics on overdose deaths for 2014, she said. An estimate of 30 deaths statewide so far this year may well be low, given that the death toll from just two communities and Cape Cod is 20. In Taunton, six deaths connected to opiate overdoses have occurred since Jan. 1, according to Mayor Thomas Hoye Jr.; Woburn has had eight deaths, said the city’s chief of police, Robert J. Ferullo Jr. And on Cape Cod, more than a half-dozen opiate-related fatalities have been recorded. Carey urged state lawmakers to approve Governor Deval Patrick’s $2.7 million budget request to create five more drug courts and three other courts to deal with mental-health issues. The state currently has 21 drug courts in which defendants with substance-abuse problems are subjected to intense, regular evaluation by the court, including random testing, as an alternative to prison. Defendants can be directed to quick treatment that they otherwise might not receive if they waited for their cases to proceed through the legal system. “We have a relatively brief opportunity to help the defendant find services,” Carey said. More drug courts are only part of the response, Carey and other speakers said. More treatment beds are needed; more education about the dangers of opiates is essential for young people and their parents; and lawmakers need to make the issue a priority, the Greenfield audience was told. “We need the beds, and we need the programs, and we need them as quickly as possible,” said state Senator Stanley C. Rosenberg, a Democrat from Amherst. He said the Senate’s special commission on the opiate overdose surge is expected to have recommendations in time for the Senate budget debate. Victims of the recent opiate overdoses, many of them teenagers or young adults, come from a wide range of income, racial, and geographic backgrounds, which has particularly alarmed public safety officials. Many users began with prescribed opiates, such as painkillers, that might be found in the family medicine cabinet, outreach workers said. Tightened controls on those drugs, some of which are now being made so they cannot be crushed and easily used by addicts, prompted young users to resort to heroin, which had become much cheaper than prescription pills and easier to buy on the street. However, the issue of opiate abuse transcends the users, said Dr. Ruth Potee, who practices family medicine in Western Massachusetts with the Valley Medical Group. People must be careful to keep their prescription drugs secured. In Woburn, the Probation Department at district court has joined forces with seven police departments to aggressively reach out to educate the community about heroin use. US Representative James P. McGovern, a Democrat from Worcester, praised such local efforts, which he said differ from a federal approach that emphasizes punishment rather than treating addiction as an illness. “When people get diabetes or cancer, we treat it, and this is what we must do here,” said McGovern. Officials at both events said they would work to expand access to naloxone, a drug known by the trademark name Narcan, which is used to quickly reverse the effects of opiate overdose. A total of 21,000 people have been trained in the state to administer Narcan. As a result of that effort, 2,500 overdoses have been reversed, said Hilary Jacobs, director of the Bureau of Substance Abuse Services at the state Department of Public Health. In Taunton, Markey was joined by R. Gil Kerlikowske, director of the White House Office of National Drug Control Policy, to sound an alarm in a city that has had about 70 overdoses this year. That count did not include multiple reports of overdoses that the city’s emergency medical service received Monday. Before the press news conference, officials huddled behind closed doors at a fire station to discuss strategy. In the middle of their meeting, a call came in “for a possible drug overdose on Oak Street in Taunton, which is right down the street from our temporary City Hall,” said Hoye, who was part of the meeting. “It’s a problem that really hits home,” Hoye said. globe.com. Follow him on Twitter @jm_bos.